The drug ecstasy is flowing into Miami, and the police want it stopped. 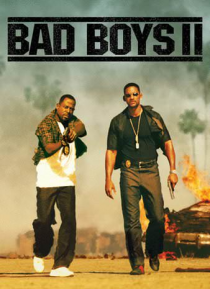 Police Detective Marcus Burnett (Martin Lawrence) and his partner, Mike Lowrey (Will Smith), are just the men to do it. They track the drugs to a Cuban smuggler, Johnny Tapia (Jordi Mollà), who is also involved in a bloody war with Russian and Haitian mobsters. If that isn't bad enough, there's tension between the two cops be… cause Lowrey is romantically involved with Burnett's sister, Syd (Gabrielle Union).